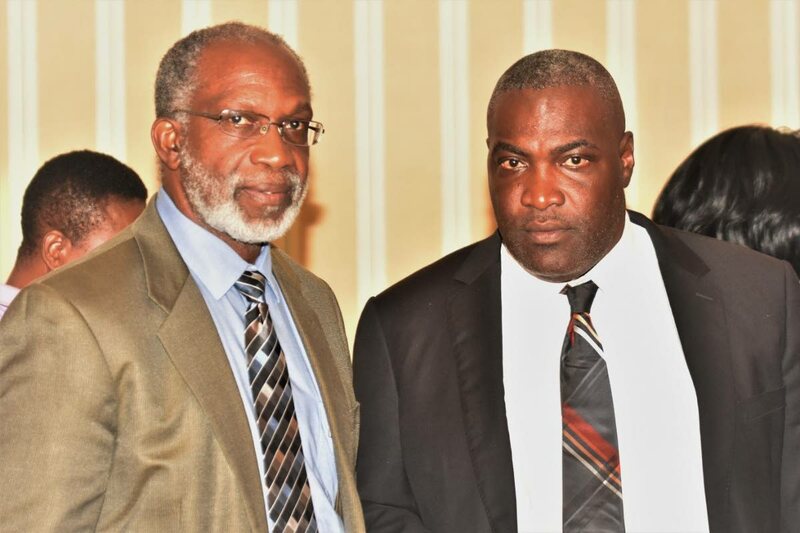 Chairman of the Tobago Chamber of Commerce, Claude Benoit, left, is pictured with former President Demi-John Cruickshank. Claude Benoit has had his responsibilities as Chairman of the Tobago Chamber of Industry and Commerce taken away from him, with Vice Chairman Martin George assuming authority as head of the business body. But several members of the business community, including members of the Chamber’s ten-member management team, on Wednesday expressed surprise at the news. Newsday Tobago contacted four of the persons on the management team who, speaking on the condition of anonymity, said they were not present at Monday’s meeting and were unaware of the decision regarding Benoit until they heard it on the news. They reserved comment pending further information. Efforts to reach Benoit on Wednesday for comment were unsuccessful. Newsday Tobago understands that Benoit, who was elected Chairman of the Chamber, along with a new executive, in March, was not at Monday’s meeting. Called for comment on this development, former Chamber chairman Demi-John Cruickshank, noted that he was not at the meeting and did not know of the decision, but was seeking further information. George said that at Monday’s meeting, several issues were raised and discussed including the withdrawal of the Cabo Star - for ten days starting September 20 - and that no replacement vessel was secured for the sea bridge. Port Authority Chairman, Lyle Alexander had previously told Newsday Tobago that attempts were being made to have the Atlantic Provider barge on the sea bridge. On Wednesday, Alexander said the owners of the vessel were unable to complete repairs in time and that the TT Spirit will resume Wednesday sailings to take up the slack for cargo transport. He assured that the Authority had put measures in place to ensure that the Cabo Star was ready to resume sailing by October 1. Reply to "Martin George takes over Benoit’s job"